Beginning Wednesday, July 9 through Sunday, July 13, 2014, attendees at the Park City Food & Wine Classic will come together in 33 different ways to increase their knowledge and enjoyment of food and wine. Proceeds from ticket sales benefit the People’s Health Clinic, a nonprofit that provides healthcare for uninsured individuals and families in Utah’s Summit and Wasatch counties—many of whom are restaurant staff, musicians, resort employees and artists who serve as the backbone of Park City’s resort community. By providing quality health care and education to those without insurance, the People’s Health Clinic keeps both residents and visitors healthy. Set in the beautiful mountains of Park City, Food & Wine Classic guests can take part in dozens of expert-led seminars, tastings, meals, outdoor excursions and more. Many events for this coming weekend are already sold out but with the chance to experience more than 100 food artisans, wineries, breweries, distilleries, epicurean purveyors and locally-made products, you can still purchase tickets to the following events—including Friday’s Stroll down historic Main Street and Saturday afternoon’s Toast of Park City at The Canyons. Tickets are currently still available for the following events. To stay connected to everything going on at the Park City Food & Wine Classic, download the new mobile app which includes a full festival schedule and map, listing of the festival’s chefs and sommeliers and the Wine Cellar detailing ALL the wines featured at the events! 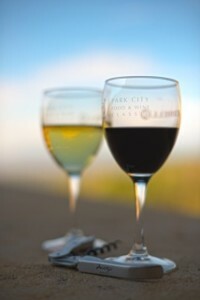 To learn more about each event or to buy tickets, visit the Park City Food & Wine Classic website.